Home / Breaking News / Chef Rants / Featured Article / Food Hygiene / Galley News / Training & Education / What's New / Yacht Chef News / Food Safety on Yachts – you’re killing me! No Comments on Food Safety on Yachts – you’re killing me! 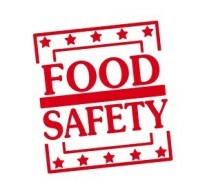 I thought I would post a quick update on food safety/hygiene on yachts for chefs and crew in general as I have recently been getting more and more chefs metnioning this when I meet and interview them. A yacht chef has no excuse, whether on a 27m or a 127m+ yacht you all have a responsibility to work professionally and safely without endangering the lives of other crew or your guests… or indeed yourself! Sounds obvious, yep it is but many yacht chefs don’t adher to the basic food safety principals onboard and I hear tales every week from chefs who bring to light bad practices in the galley and who have joined yachts with dirty, disorganised galleys and messy put of date provisions in the yacht’s stores. So I am not here to lecture you but just to remind everyone that a clean, safe galley and correct food handling and storage should be the priority for you all! 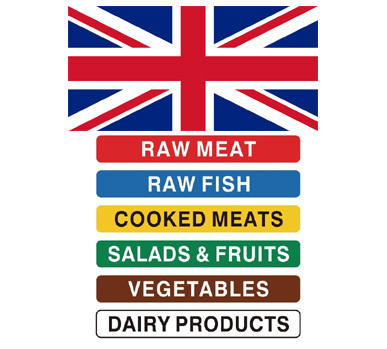 Food rotation isn’t complicated and you should ensure your stocks of dry goods, fresh and frozen produce is rotated and used correctly. Monitoring fridge temps also might be a pain but even on a smaller yacht a cheap paper book and fridge and freezer thermometer will allow you to keep a record of temps whislt you are onboard. Labelling items when you put them into stores is easy and will ensure anyone else who wants to use the items can clearly see when it was purchased and if it is out of date or can be used. WORK CLEAN!! lives depend on it! 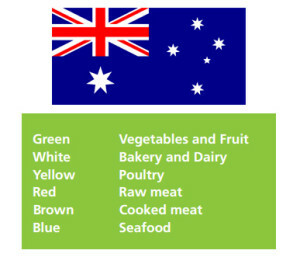 All food handlers on a yacht should have Level 2 Food Safety/Hygiene to ensure all crew know the risks and prevention of cross contamination onboard and safe working practices and yacht chefs should let all crew know how they deal with Food Safety, Hygiene and any HACCP issues in your galleys when you join a new yacht or get new crew onboard. One of the main issues is the use of chopping boards.. whether you have the full seelction of colour coded boards or on a smaller yacht have the minimum in your galley you should always clearly mark what you are using them for and of course let other crew members know this. Not difficult to stick up a small notice letting others know this! 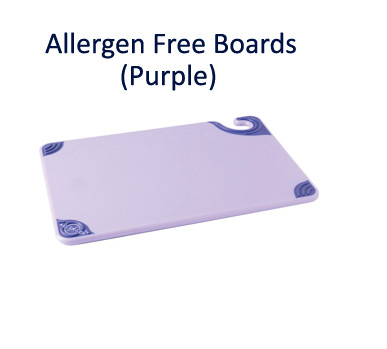 How you clean these boards and maintain them is just as important and I have some links to some tips to help remind you about the whole food safety and hygiene ssytems you can adopt on your yacht! Here are links to help you in your jobs!! UK – THIS ONE IS A GOOD ARTICLE WITH USEFUL FORMS FOR YOU TO USE! Happy reading and keep safe!